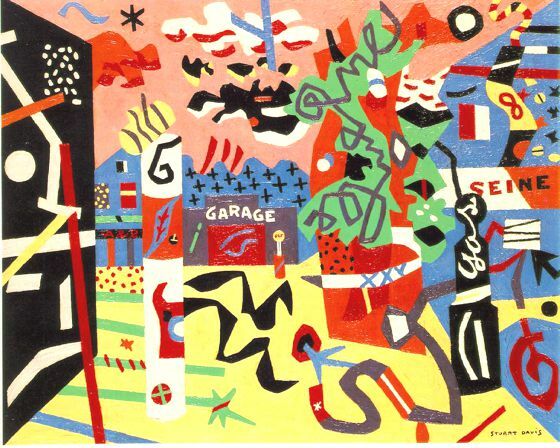 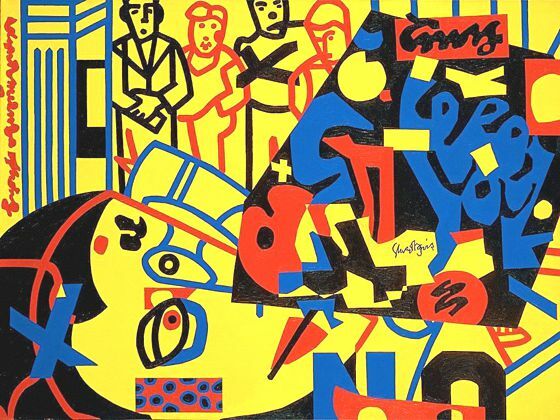 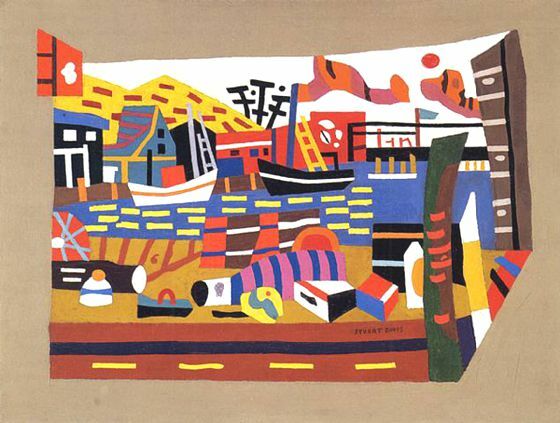 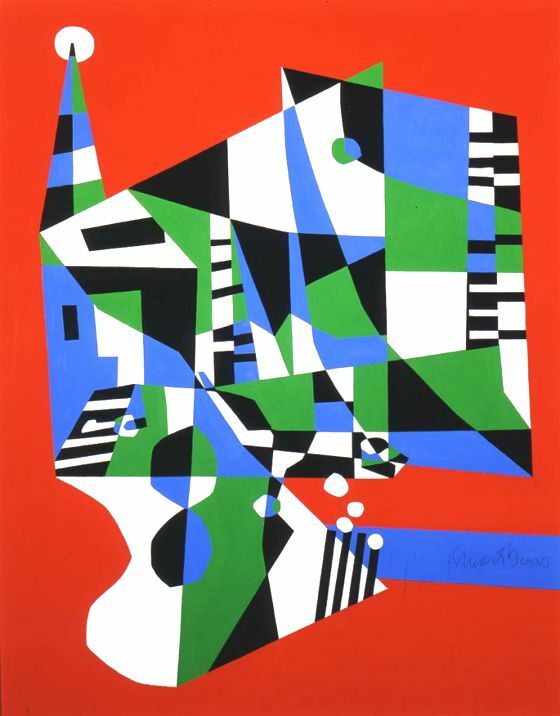 Stuart Davis (1892 - 1964) was an American great painter. 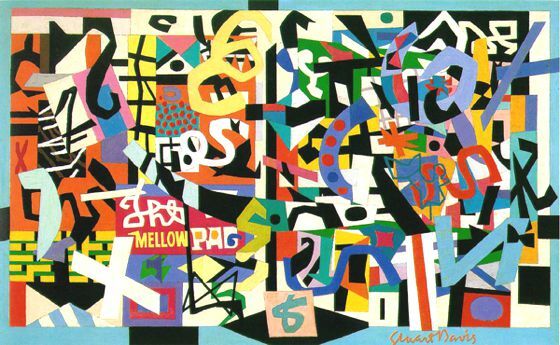 After starting with realist painting, Davis came to Cubism, representing the connection between the American avant-garde before and after the Second World War. 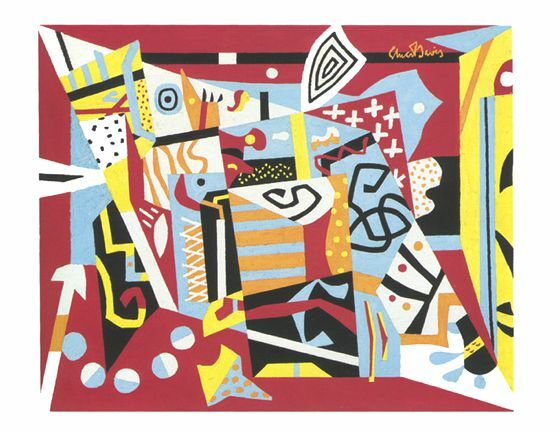 His paintings are full of energy thanks to use of primary colors, with bright patterns generated by shapes and figures that break down and facet, with great visual power.